Are you having trouble keeping your Corona CA home comfortable? Do you question the quality of your home’s air? Does your home’s energy performance need improvement? Cool Air Solutions has been answering these questions since 2006 as we repair, replace and maintain the heating and cooling systems of your Corona CA neighbors. Call us to find out what we can do for you. Excellent technician. Very courteous and friendly. Informative. Excellent service. Service as good as usual. Cool Air Solutions give for customer the best attention, my experience is wonderful, with Professional and quality solution, on concordance with the custumer nedd . The tech was punctual, highly competent and very polite. Every employee I've dealt with in this company has been first class, Michael Pierson was no exception. 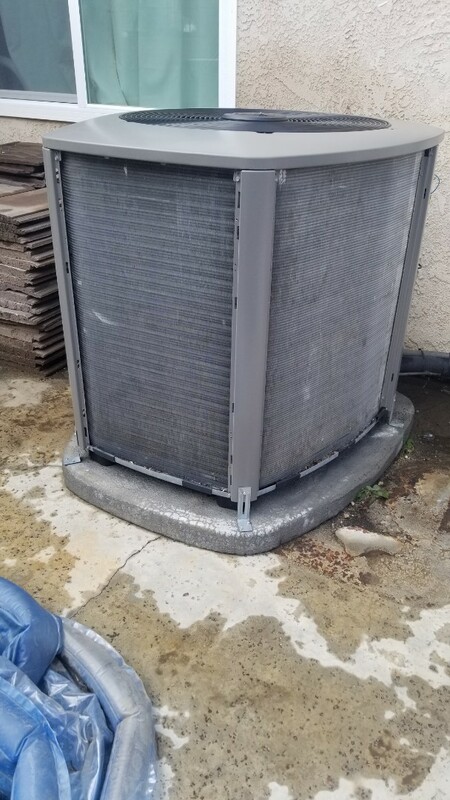 Ac maintenance on a Lennox unit in Lake Elsinore, Ca. Performed routine fall maintenance on Lennox furnace in Corona.